We took a little stroll through the Bella Palermo townhome complex in Portola Hills this morning. 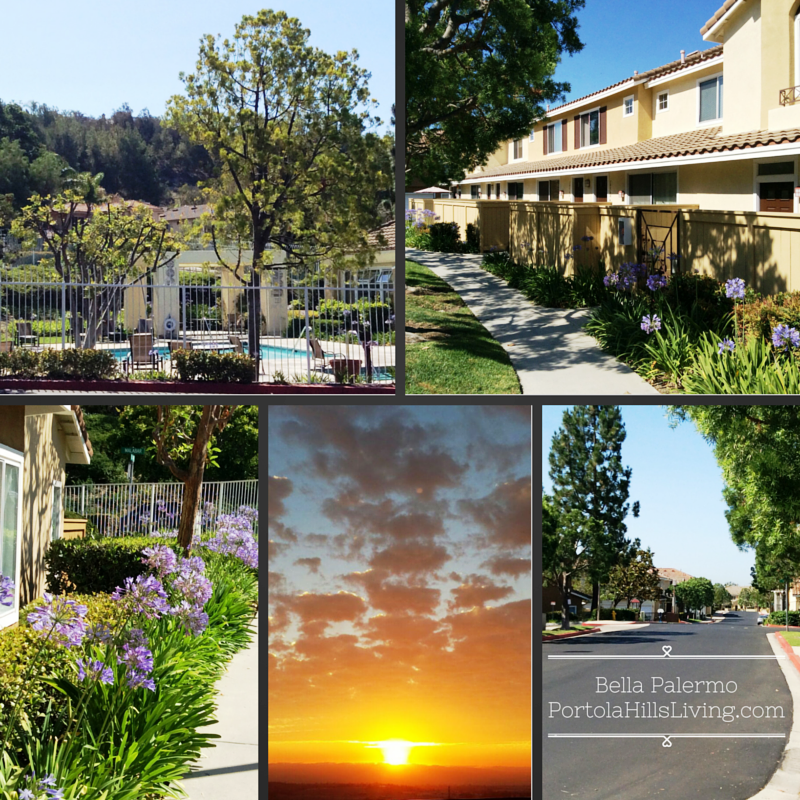 This community is located on the corner of Malabar and Saddleback Ranch Road in Portola Hills. It is a serene community with 198 homes offered in 6 different floorplans. Home amenities, depending on the floorplan include: Central Air Conditioning, Volume Ceilings, Cozy Fireplaces, Private Fenced Courtyards and Built in Wine Racks. Association Amenities include: Pool, Spa, Fitness Room, 2 Tot Lots, Clubhouse and is surrounded by miles of hiking and biking trails. At the time of publishing, homes in Bella Palermo are selling between $350,000 to approximately $475,000. Below is a snapshot of what has sold so far this year in 2015. For more information on the community or if you are a Bella Palermo resident and interested in finding out the current value of your homes, please do not hesitate to give Kelly Turbeville a call.